The Orissa state government is keen to enhance the lifestyle of the poor people. After planning for food security, the state is all set to launch various schemes regarding health care. From next year onwards the poor population will be able to take up expensive medical treatments without any financial restrictions. Total of 4 health care services will be launched together that will be effective from next year. The scheme will be launched on 1st of January 2018. The announcement was done in the month of December by the Chief Minister Mr. Naveen Patnaik. In the month of November, the officials from National Health Mission had attended a meeting by the Chief Secretary of the state Shree Aditya Prasad Padhi. In that meeting the schemes were being discussed and finalised by all the officials from state government and NHM. From next year the schemes will start implementing. Free Diagnosis: Poor patients who are unable to bear the cost of treatments will get free diagnosis. The costs of diagnosis in any diagnostic centre or such will be carried out by the NHM and the state government of Orissa. Sahaya Scheme: People with kidney disease need regular dialysis. Poor people can’t afford to go for regular dialysis as they are costly. 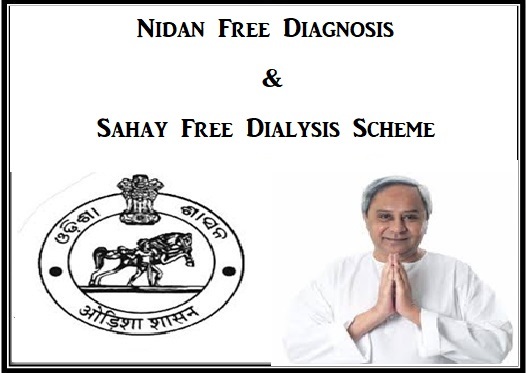 Under Sahaya scheme people can have free dialysis depends on their health condition. Dialysis machines: Nearly 125 machines will be installed for the dialysis purpose under this scheme. By the end of the month March next year 2018, these machines will be installed. Under this scheme the state will reduce the maternal mortality rate and infant mortality rate in the state. It was decided in the year 2016 and Rs. 2 Cr has been allotted for the scheme. Additional services such as specialist doctors will be available under these schemes. Paediatrician, Gynaecology, eye specialist, psychiatrist, physiotherapist, medicine and lot more consultants will be available. Latest technology like Anmol Tablet Computers will be provided to the nurses from Auxiliary Nurse Midwifery. They can take quick actions for the patients like pregnant women, infants, mothers and such by using such latest technology. Primary health care centres and government hospitals will actively take part in implementing these schemes. Nearly 1200 primary health care centres and 200 government hospitals will be listed under these schemes. Ayurvedic Health Care, Mobile Health Care, Community Health Care, Homeopathy Health Care and Diagnostic Centres will be active under these schemes. The total budget allocated for the scheme is Rs. 600 CR for the next 5 years. Though the initial budget was decided by the NHM and the state official was Rs. 40 Cr for a year. Roughly for the 4 schemes in total, for next 5 years the budget will be Rs. 600 Cr. The entire budget will be shared by the NHM and the state government of Orissa. Average cost for CT Scan in government hospitals is Rs. 1000/-. In private sector the charges are almost 3 times than government path labs. Same scene can be seen in case of ultrasound and X-ray. This is way too expensive for the people who live under the poverty line. With launching these schemes they will be able to get benefits without spending a penny.